FINE & COUNTRY 6 BIDDULPH MEWS A Charming Mews House With Delightful And Most Unusual Accommodation Overlooking A Tranquil Courtyard Situated On The Stunning Burton Park Development Offering A Unique Lifestyle Opportunity And Situated At The Foot Of The South Downs. This unique approach to luxury homes marketing delivers high quality, intelligent and creative concepts for property promotion combined with the latest technology and marketing techniques. We understand moving home is one of the most important decisions you make; your home is both a financial and emotional investment. 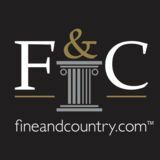 With Fine & Country you benefit from the local knowledge, experience, expertise and contacts of a well trained, educated and courteous team of professionals, working to make the sale or purchase of your property as stress free as possible. The property occupies a glorious setting at the foot of the South Downs in the village of Duncton which is home to The Cricketers, a local pub with a very good reputation for its food and ales. Petworth, a charming old market town is about 3 miles to the north along the A285 with its local shops, pubs, restaurants and the National Trust stately home of Petworth Park. Chichester is about 10 miles to the south with its excellent shopping and leisure facilities as well as its famous Cathedral and renowned Festival Theatre. Nearby sporting attractions include the Goodwood Estate with its golf club, horse racing and motor racing circuit, health club and spa, the Cowdray Park Estate with its golf course and internationally renowned polo club, and the many yacht clubs and marinas around Chichester Harbour. Schools in the area include Seaford College and Dorset House. London is easily accessible with main-line stations at Pulborough (Victoria approx. 70 mins) which is about a 7 mile drive or Haslemere (Waterloo approx. 55 mins) which is about a 14 mile drive. The property is one of 49 homes set in over 150 acres of parkland and formal gardens of Burton Park, a fine Grade I Listed Georgian House which dates from about 1520. Biddulph Mews which is Grade I Listed was converted and Number 6 occupies an enviable position in the corner enjoying charming accommodation with virtually all rooms overlooking the Courtyard, and with views over the parkland. The beautiful approach leads you to the glazed entrance door with windows to each side to a delightful hall with beamed ceiling, exposed floor, staircase and cloakroom off. The study/ bedroom 4 with exposed brickwork and exposed timbered ceiling is well away from the other reception rooms making it an ideal room in which to work quietly with French doors opening to the courtyard. The spacious sitting room again with exposed brickwork and ceiling has a tiled floor and two windows overlooking the courtyard and this room is partly open plan to the dining room with its superb Atrium. This room also has 4 small windows with countryside views and French doors opening onto the courtyard. The spacious kitchen/breakfast room, a feature of the property and being partly vaulted, is particularly well fitted with 4 windows. There are ample work surfaces, cupboards, pan drawers, integrated tall fridge and tall freezer, double oven/grill, microwave, hob and extractor and dishwasher and plenty of additional space for table, chairs and even a dresser! There is also a utility room and storeroom leading off. From the hall, stairs with a window affording countryside views, lead to the split-level landing. The double aspect master bedroom enjoys views and has wardrobe cupboards and an ensuite shower room. There are also two further bedrooms with fitted wardrobes, one being double aspect and both enjoying a delightful outlook. The main shower room is well fitted with a large walk-in shower and tiled floor. 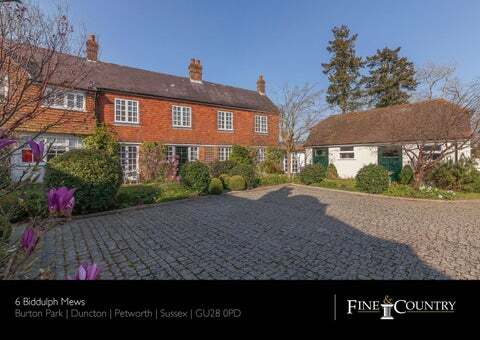 What the Agent Says: This is a most wonderful property with so much character and with particularly spacious ground floor accommodation making it ideal for entertaining! The wonderful formal gardens and parkland are picturesque and as such are an enchanting setting for this period home. Viewing Is A Must! * These comments are the personal views of the current owner and are included as an insight into life at the property. They have not been independently verified, should not be relied on without verification and do not necessarily reflect the views of the agent. From the dining room with its atrium and from the study French doors open to a delightful Courtyard, a lovely peaceful place to have a table and chairs and sit next to flower and mature shrub borders. Nearby there are the stunning Formal Gardens, which are meticulously cared for and offer a wonderful opportunity to meander around and sit in with many gardening delights, including topiary, statues, fountains, pergola and lawns. There are ponds and lakes, a croquet lawn and tennis courts as well as a delightful cottage garden, not to mention the handsome little 11th century Norman church. Access to the Park is through stately wrought iron gates and along a half-mile drive which weaves through rhododendron lined woodland and sheep pastures before opening onto the parkland and the estate which had the input of the world renowned Capability Brown. There are over 150 magical acres. The property has two car parking spaces, and there is a garage available by separate negotiation. In addition there is ample visitor parking. Note: There is a Garage available by separate negotiation. Service Charges: There is a 999 year lease from 1997 and there are two management companies, Petworth Management Company and Burton House & Courtyards Company. Currently annual management charges are around ÂŁ7000 per annum which includes building insurance and the associated costs of looking after Burton Park and the gardens & grounds. Registered in England and Wales. Company Reg. No. 10383523 Registered Office: Prospect House, 78 High Street, Hurstpierpoint, West Sussex BN6 9RQ copyright ÂŠ 2019 Fine & Country Ltd.